Nothing made the Jonas Brothers happier than having their music heard and appreciated by the world. So, when they were formed and recognized as an American pop rock group, they grabbed the opportunity and proved to everyone they deserve to have a spot in the limelight. 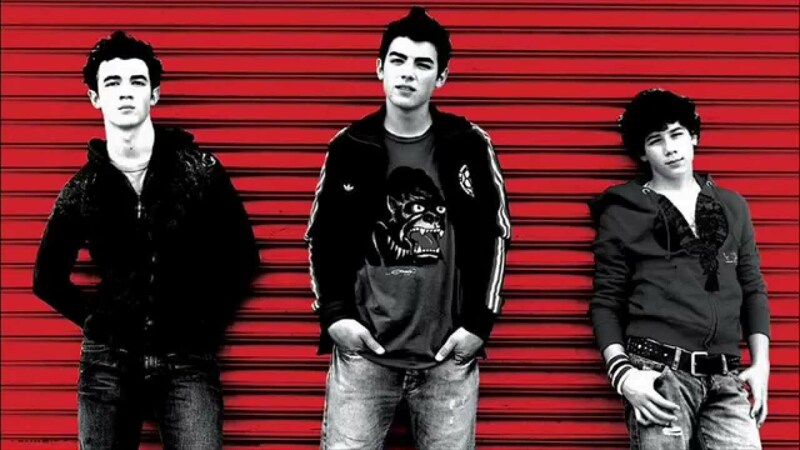 The Jonas Brothers consist of three brothers from Wyckoff, New Jersey – Paul Kevin Honas II, Nicholas Jerry Jonas, and Joseph Adam Jonas. Although Nick already started in the entertainment business as early as the age 7, the group only rose to prominence after their Disney Channel audition in 2005. Since then, they have become popular faces in Hollywood, starring in various Disney Channel shows, releasing chart-topping music albums, going on tours, and receiving a multitude of accolades. But as they say, everything comes to an end. In 2013, the group decided to part ways. At the age of 7, Nick already started performing on Broadway. He acted in a number of plays, which include A Christmas Carol, Annie Get Your Gun, Beauty and the Beast, Les Miserables, and The Sound of Music. While performing in Beauty and the Beast in 2002, Nick wrote a song with his father called “Joy to the World”. Together with the cast, he performed on the annual Broadway Equity Fights AIDS album in 2002. When it was released to Christian radio, it quickly became a hit. It even topped the Record & Radio’s Christian Adult Contemporary Chart. Eventually, Joe followed his footsteps to Broadway, making appearances in several productions, which include Baz Lurhmann’s La boheme. 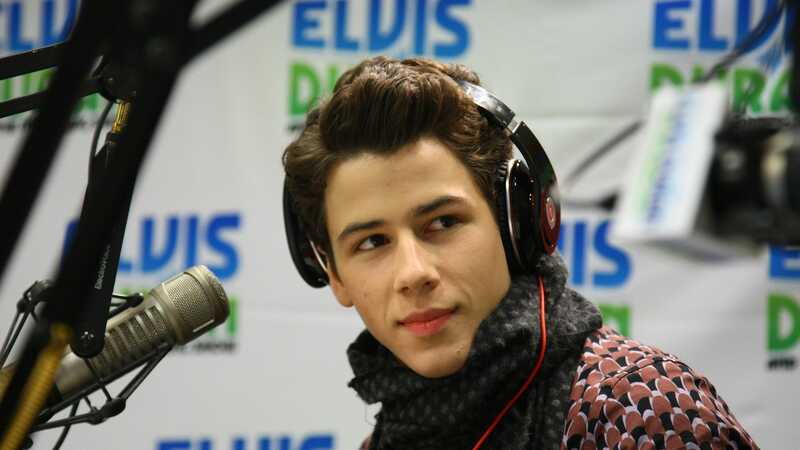 In 2004, Columbia Records discovered Nick’s song, making them decide to sign him. Shortly thereafter, his first single, “Dear God”, was released. It was then followed by another single “Joy to the World (A Christmas Prayer)”, which was released on November 16. Supposed to be, a self-titled solo album was meant to have been released in December. But, it was pushed back. Nevertheless, it got a limited release. For the album, the brothers wrote several other songs, which was then heard by Steve Greenberg, the new president of Columbia Records. Though it was Nick’s voice he loved the most, he decided to sign the three up as a group act. 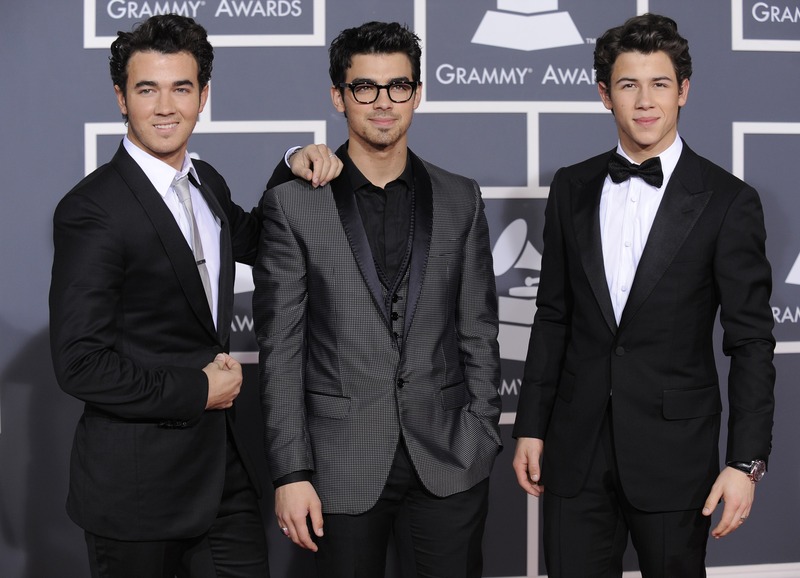 After signing with Columbia, the brothers considered using the name “Sons of Jonas”. But later on, they agreed to use “Jonas Brothers”. In 2005, the group had gone on different tours as opening acts for artists like Kelly Clarkson, The Click Five, The Backstreet Boys, Jump 5, and Jesse McCartney. By the end of the year, they also embarked on a tour with The Cheetah Girls and Aly & AJ. The following year, they opened for The Veronicas. The group’s first ever album is titled It’s About Time. To make it, they collaborated with several writers, such as Michael Mangini, Desmond Child, Billy Mann, and Adam Schlesinger. The original plan was to release it on February 2006, but it was pushed back a lot of times because of the executives’ desire to have “another lead single”. On August 8, 2006, it was finally released. According to their manager, it was only a limited release with 50,000 copies. Because of that, it’s price rose as high as $300 on auction sites. Sony eventually lost interest in further promoting the band, so the brothers decided to switch labels. The Jonas Brothers spent several months without a label. But on February 2007, they finally signed with Disney-owned company, Hollywood Records. Since then, they have started making appearances in commercials and television shows. On August 2007, they were invited to guest star in an episode of the Disney Channel show, Hannah Montana, where they got the chance to perform “We Got the Party”. When it premiered, it was viewed by more than 10.7 million people. That same month, their second album, Jonas Brothers, was also launched. Within its first week, it already topped the music charts. They started their Look Me In The Eyes Tour in January 2008. Also, in that same year, they were cast in Disney Channel’s original film for television, Camp Rock, alongside Demi Lovato, and released their third album, A Little Bit Longer. Four of the songs included in the album secured a spot on iTunes and these were “Pushin’ Me Away”, “Tonight”, “A Little Bit Longer”, and “Burnin’ Up”. Due to the success of the Camp Rock, it got a sequel titled Camp Rock 2: The Final Jam, which aired on September 3, 2010. They also filmed a new Disney Channel Original series, J.O.N.A.S., which was first seen on television on May 2, 2009. 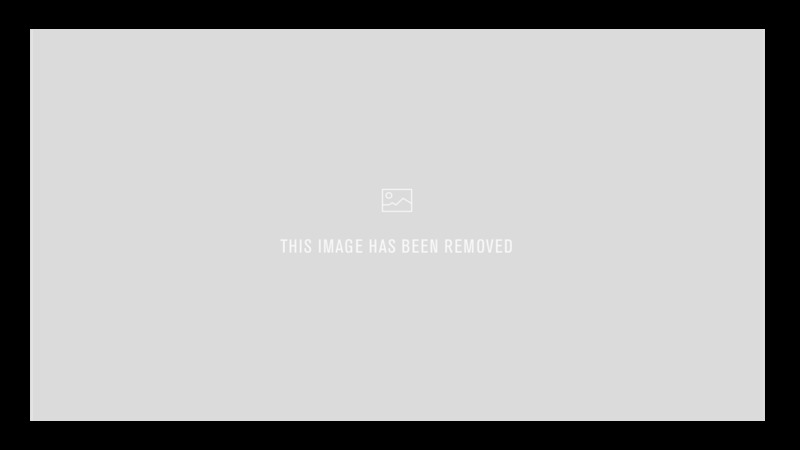 It ended on October 2010. In the midst of their successful career, the Jonas Brothers unexpectedly broke up. Even so, they are still in good terms. In an interview with The Huffington Post, Kevin Jonas explained, “At the end there, the friction was too much. We just really needed to break away and kind of do our own things for some time”. Kevin also added, “I think it was time, and for us it took some time getting there, but we feel like it’s time that the Jonas Brothers come to an end”. 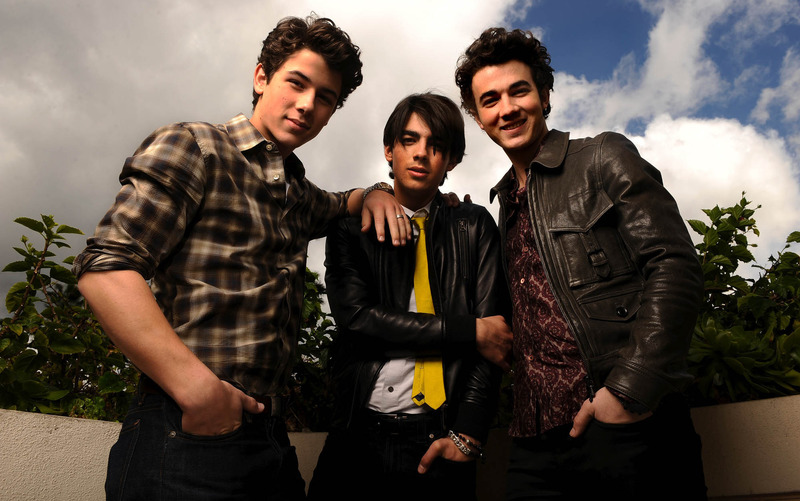 Though the Jonas Brothers didn’t really stay long as a group, they still achieved a lot throughout their career. And despite all the challenges they encountered, they never forgot to thank Disney Channel for the opportunities that made them successful as a band.